Oh look, 2016 Fringe First winners SH!T THEATRE again. What is it this time? Oh, is it unemployment? Is there a crisis? Did the government do something wrong again? No, it’s a show about Dolly Parton. We f*cking love her. Following the award-winning sell-out hit Letters to Windsor House – which was named one of Time Out London’s top ten theatre shows of the year – Sh!t Theatre return with their bold new show. It’s about country legend Dolly Parton, cloning, branding, immortality and death. 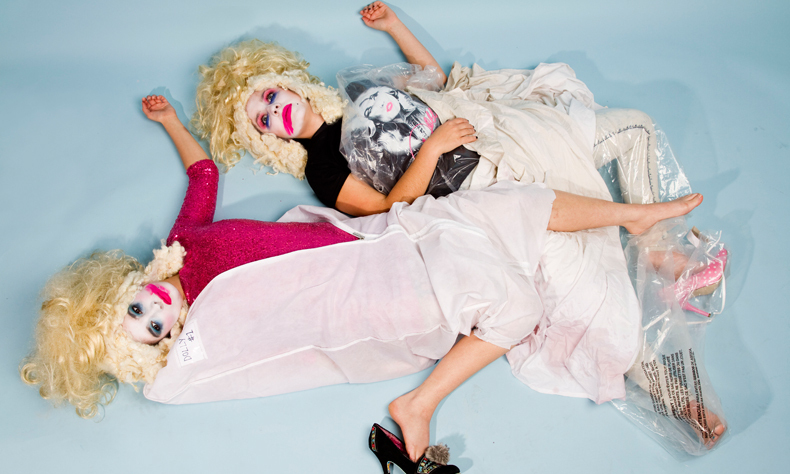 SH!T THEATRE are the ‘rising stars of performance art’ (Telegraph) comprising Becca Biscuit and Louise Mothersole. They are Fringe First award winners, Total Theatre award winners, Arches Brick award winners and Amnesty International award nominees. Supported by Norwich Arts Centre, Camden People’s Theatre and Arts Council England.